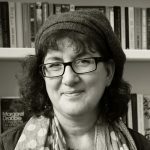 It was independence day on the 4th, and Orna Ross has handed over our regular Members’ Self-Publishing Q&A series to David Penny and Debbie Young to host. 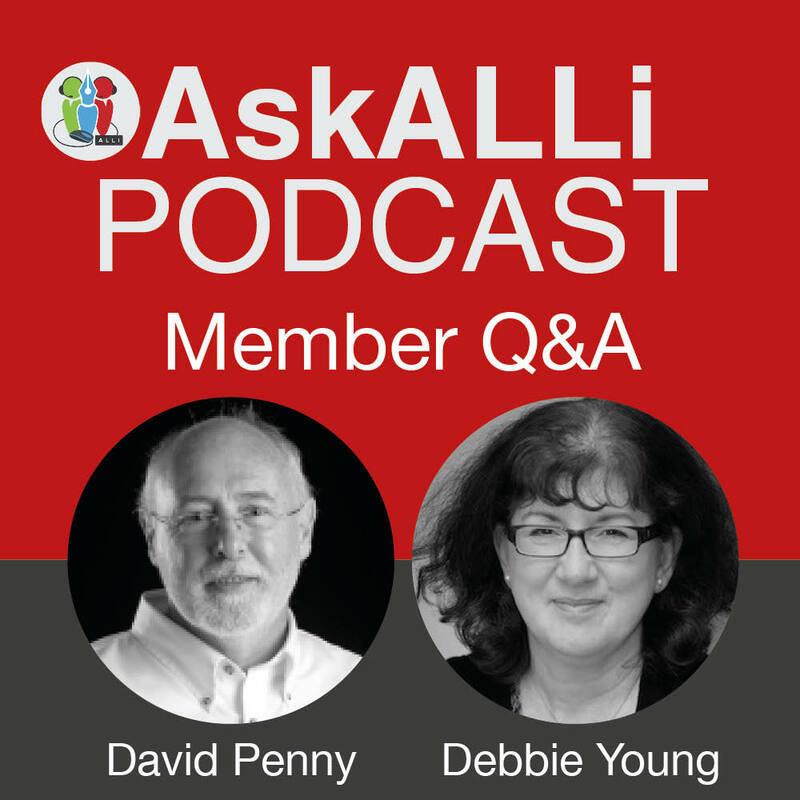 Each month David and Debbie will be in the hot seat to answer the most pressing ALLi Members’ questions. Between them they have a wealth of self-publishing experience to share, and both love nothing more than sharing their advice and experience with other indie authors just like you, so that you are prepared and ready to travel along the self-publishing path to success. Even though only members can submit questions, the broadcast is accessible to everyone to learn from. Join us each month to watch the broadcast recording, listen to the podcast, or read the full transcript. and the financial benefits of ALLi Membership. David: We thought we’d start off, really by, a little bit of a news round about and see what’s going on in the indie world this month. One of the things that popped up recently for me is that I saw some comments that Amazon reviews have changed. I’m not sure if you’re aware of this, Debbie? Debbie: I heard about it, but I must admit I haven’t looked at it too closely. I know, they change it all the time, don’t they? David: Everything, yeah. We’ll come back onto this, I think. Because everything changes all time. It’s one of the things as a successful indie author, you have to be aware of. Something you thought was never going to change will suddenly change overnight. Debbie: Just when think you got on top of things they can move the goal posts so you have to catch up again. David: Exactly, yeah, yeah. What appears to have happened though is, in the past you would get a review rating that might say four point two out of five, or if you really lucky four point eight out of five or something like that. And if you’re really unlucky, two out of five. What’s happened is they seem to have taken two of your categories that you have allocated against your book and they are giving you a review rating out each of those categories. So, this came up initially, I saw, by somebody who has a complaint that they’d got an overall review rating something like four point six out five. But under a particular category, and in my case it would be Historical Fiction. It was coming up as only four point two out of five. And I thought it was a bit suspect that you were being graded outside of what you would normally have expected. Personally, I made a comment that I quite liked it because people tend to read within genre. And they will look for a book within a particular genre. So for instance I think my rating is four point six out of five globally. And for Historical Mysteries it’s also four point six out of five. So that shows the readership of my books tends to be pretty much what I’m aiming it for. Debbie: Which is, which is fine if you are writing for a specific genre. But of course, one of the advantages of being indie is that you don’t have to write for a particular genre. You can invent your own sort of blended genre. And, so I can see people coming unstuck a bit there. My series of novels that I’ve launched quite recently. They are aimed at the sort of cozy, classic mystery. But the other categories that I’ve got are also humor. And, romantic comedy because they are quite funny as well. I mean humor is a big part of them. And so I’m sort of straddling different genres. Another thing that they’ve changed recently on the reviews made more sense to me was, and this was only a couple months ago. I think it’s only rolled out so far in the States. I’m not sure if it’s on the other Amazon territories now. They’ve started separating the reviews of the verified, people who are verified purchases of your book. So they knew that they’d bought the book from Amazon. And other people that have just reviewed on the site but not necessarily bought from there. And the default is now that when you go onto Amazon.com, and you look at the verified reviews. The first set of reviews that you see are just the verified purchases and not the others. And you have to actively select the drop-down menu of all the reviews. Which to us, because we’re going on and doing these things all the time is just another hoop we have to jump through, and we can absorb that kind of change properly. But I think the average reader, a lot of people, just wouldn’t notice that. And so they’d miss out on the other reviews. I did wonder at first whether it’s the thin end of the wedge and whether Amazon was going to start rejecting any reviews that were not of verified purchases. David: It’s only on the U.S at the moment I noticed it, it doesn’t happen on the UK site and I’m assuming it doesn’t, what they tend to do is roll something out in America and then if it works, if it works it comes to the rest of the world. Debbie: I’m rather hoping they decide it doesn’t work there. And I think from Amazon’s point of view, because although we like to think that Amazon, Amazon is there to help us to sell books, of course, it isn’t really, it’s there to make more money for Amazon and its shareholders and to build its business, which does very, very well. But , but I don’t think this is actually in Amazon’s own interest. I don’t think it will create the most satisfaction if they remove a load of reviews because they’re not verified purchases. Because ultimately what they want to do is to provide the best experience for the reader and, the way they do that is to provide more reviews and a more diverse set of reviews, a bigger set of reviews. If I was an Amazon director, I would not be sold on that idea just yet. David: Yeah. I think Amazon going through – well, you and I both know Amazon are going through – a whole lot of changes at the moment. They’ve changed the desktop report on your sales and all sorts of different bits and pieces. And it’s not worrying but it’s a bit offputting that Amazon, the biggest tech company, or one of the biggest tech companies in the world, probably the biggest tech company after Google, is making a number of sort of fundamental mistakes in, in some of the stuff that they’re bringing out. Bad coding and bad testing and so on, it’s a shame. Debbie: There’s certainly been a lot of reports about, the sales figures not being accurate lately. If you go onto your KDP dashboard in particular and if you’re running Amazon advertisements, it’s generally perceived that you’re not getting accurate feedback. Which is a shame because Amazon is just so clever. I mean, you know they have done so many extraordinary things, broken the mold, done so many amazing things, that it’s a shame. It comes as kind of a surprise when they get something a bit wrong. Because they’ve done very much that is so clever. David: Yeah. They either have a new IT director or they’ve given the work to somebody else. David: An intern, yeah. Yeah, they’ve probably been looking for these hackers that have been getting into the White House and they’ve given them the job [laugh]. But yeah, yeah I’ve noticed that my page reads had halved on, I think Saturday or Sunday which is one of the things that they’re under-reporting on, on Amazon page reads. Debbie: Quite a lot of people have been reporting that. David: Yeah. It’s bounced back over the last couple of days. It’s still not all the way up to where it was. But it is recovering. But there is also this paranoia theory about Amazon that they’re out to get us all. And I don’t really subscribe to that view. I think their heart is in the right place, it’s just that sometimes their head goes in a totally different direction then they make some mistakes. But usually they bring them all back. Debbie: Yeah. And what they’re trying to do is so revolutionary. It’s changed so many people’s lives. And it’s also not just books. We tend, because we’re authors, we tend to think Amazon books, but they, they offer so many opportunities, not just to indie authors. I mean, the average indie author would not be where they are now without Amazon. But also, there are masses and masses of small business all over the world who would not be able to function without Amazon. I was talking today to a friend of mine who mentioned that her mother lives in a little seaside resort on the North Norfolk Coast, which is in the east of England. And she went into visit all these lovely little shops selling lots of nice little things for the house and that sort of thing, and tourist souvenirs. And they’re all saying that with the low foot fall that they get from real life customers coming into the shop, if it wasn’t for selling things on Amazon through their on-line stores, they wouldn’t be in business. Lots of businesses are like that, especially in remote, rural places. So,although Amazon has its critics, we shouldn’t lose sight of just how much they’ve done for us and for so many other businesses. David: Yeah, they have revolutionized on-line selling. As indies we are one of the major beneficiaries of that. Cause we would have had no option, but to go the old sort of vanity publishing route had Amazon not been around. You know, I think it would have cost us money whereas you can publish entirely free on Amazon if you want to. Debbie: Yeah. That the great thing that people lose sight of as well, is that you can publish your books on Amazon with no money paid up front. You don’t have to have that seed/corn capital to set up your indie author business because you don’t start paying Amazon until, you, they start selling your books, and then they take a little cut every time they sell a book, and I think a lot of people don’t realize that. Obviously if you’re doing it all to the professional standards that ALLi advises, you will have had some up-front cost because you would have paid your designer, maybe your formatter and editor, proofreader, or whatever. So you will have had some costs. But you no longer have to stump up for the print costs up front. You don’t have be in that classic position of decades gone by, when you had to have your litho of print run of a thousand books to get an affordable unit cost. You can literally just print one book at a time. Which is fantastic. David: Yeah. Then we have a question which we will come back to on that topic a little bit later on. But before we finish on the news items. There’s, there’s something else I want to ask you about, it is this Friday, we’re launching the ALLi boo store book. Is that right? Debbie: Yes, yes. Very exciting. David: You know more about this than I do, so if you could explain? Debbie: I do, I do. Yes. The reason I know more is because I largely wrote it [laugh]. It’s very dear to my heart and it’s been a very exciting and interesting project. Because like most authors, I love bookshops. And, also like most authors, you know, I have to be quite sort of circumspect about trying to put my books through bookstores because it’s costly, it’s time-consuming. People can be wary of what kind of reception they might get from a bookseller. And so the point of this book is to enable authors to understand how bookshops work and we talk about bookstores, about brick and mortar stores, not online retailers like Amazon but good old fashioned, traditional bookshops. And bookstores. Now I say traditional and old-fashioned, in fact a lot of bookstores now are doing very exciting things. Finding all sorts of new ways of trading, becoming centers of their local community. And doing loads of things that the likes of Amazon can’t do at a very local level. So the bookstore book is called How To Get Your Self-Published Book Into Book Stores. It takes you through the way that bookstores operate, what they’re looking for. The criteria that your book needs to meet to be considered for being stocked in bookshop. It talks about selling books through non-conventional bookshops as well as through bookstores. Through non-book stores. So, special sales. Because if you’re writing in a particular genre, then you have the opportunity to place your book in other kinds of shops as well. For example, I’ve got a collection of short stories called Marry in Haste. Which is all about marriage, dating, love and marriage and I’ve placed some of those books in sort of wedding type shops. You know, stores where they selling wedding dresses and party favors and that sort of thing. But what it’s really doing is helping authors to understand the process, working out the right way, and there are very formulated ways you need to publish a book so the bookstores can buy them cost-effectively so that they can make the profit they need to make out of it, at the same time as allowing you to make a profit. So the ALLi Bookstores book is coming out Friday as an ebook, paperback will follow. And it’s really good, I don’t think there’s a book quite like it. But it’s a really good way of finding out, in a nut shell, all you need to know about how to get your book into bookshops and whether it’s worth it. And how to do that alongside all of the online publishing as well. So we’re not saying, oh, you’ve got to stop with your online trading and just do this. We’re realists as wel, l because for a lot of people it’s not going to be worth it, but we’re showing you how to make it worth it. And how to go about it. And I hope it will help lots of people. David: I must admit, I tend to ignore print, and I tend to ignore bookshops. But that’s just me. Debbie: Well I think you’re not alone, David, at all. I think a lot of other very successful authors have the same approach as you. Joanna Penn does as well. She only recently started doing print and a lot of people, most indie authors will make the vast, majority of their money from ebook sales, and the book is not contradicting that at all. But, they’re also very good reasons to have print books. Because it just gives you something tangible to show people you know, no matter. And there are still people, there are still lots of people that don’t ready ebooks anyway so, if you don’t publish print books then you’re cutting yourself off from that market. And, it’s just very nice if you’re giving a talk or even if you’re just meeting somebody and talking about books, to be able to pull your book out of the bag and show them your book. And so although the previous book, (Opening Up to Indie Authors), mostly gets read as an ebook, when I put that on the table at the Writers Conference or meeting or whatever, then people want to pick it up, they want to look at it. And they might still read it online. But it makes a big difference. So I think that everybody who’s published a book, even if they not really going to try and sell it into bookshops, should still have a few in print. And it’s very easy to do. And you do have some, you do have some print books? David: Well I do, yeah, yeah, I do. Strangely enough, as you were showing that there. I’m just looking at the bookshelf. I have a little bookshelf, I have a huge bookshelf and I have small bookshelf which is within reach. And I’ve got all of my craft books in print because I find them much easy to work with, I’ve got Joanna Penn’s How to Market a Book, and then I’ve got Then I’ve got Islamic Spain 1250-53. Debbie: No writer should be without that one. David: No, I know. But it’s interesting that you’re saying about ebooks and print books because I was really very directed towards ebooks. That I’ve noticed now on Amazon’s new dashboard you get your print books and your ebooks on the same graph. And I think as you build a certain momentum and a certain sales profile, your print books also pick up. So I’m selling not insignificant numbers of print books each day which I think comes as a result as you say, people hear about your books and they buy the ebooks, but lots of people don’t want ebooks they want actual print books they can read as well, so yeah. Debbie: Of course, also if somebody enjoys an ebook then they might want to give a book to a friend. I mean I do that all the time, you know. I read mostly novels as ebooks, but I’m more often buying print copies to give to somebody for Christmas or birthday or something. So it’s quite good as recommended, and as you said to me as well. Because I know, when I first started publishing cozy mysteries you said, oh well, you’ll sell print on that just because of the genre and really without trying. Although most of the book sales are ebooks. There’s a steady flow of print book sales as well. Because people just like print books. I’m the same as you, I like the non-fiction books and reference books in print, which is why although we give our advice books free as a member benefit to ALLi members, we also make them available to buy as paperbacks. Because you like to have those marked with happy little stickers and things like that. Debbie: For the bits you need to go back to refer to. And so I think, yeah, I think you have to have a really good reason not to go to print and I haven’t quite worked out what that could be yet. David: I don’t think there’s a downside to it because as you say, there is in some cases, and we’ll come on to this, maybe before we finish. There is a slight cost to going for a print book. And we’ll maybe talk about that in a little while when we come to the final question. But to move onto the questions we have had. I had one come through recently about Amazon Kindle books. And it was an interesting one because I wasn’t quite sure what the question was asking me. He said how many books does Amazon currently hold and how many books do they publish each day? I kind of half knew some of those answers. So, I went on a bit of search and basically if you want to know the answers to some of those questions. What I would recommend anybody does is if they go to the, let me find it again. Authorearnings.com and they’ll get a series of reports, and I’ve just got the most recent February one out, which is getting a bit old now, but they’ll have another one coming up before long. And that showing in the USA, 675 million print books were sold per year. And 487,298 e-book sales per year. And in the UK there’s, there’s almost 100,000 e-book sales per year and so on and so forth. And I, the question intrigued me because I wasn’t quite sure whether the questioner was wondering is it worth me going into this indie author thing if there’s 600,000, a million, two million ebooks being published in a year, how am I going to stand out from the others? And really this is the whole purpose of this podcast that you and I are doing Debbie, is that anybody can be an indie author. And if you are, if you hone your craft, and we would recommend everybody hones their craft as much as they possibly can. Doing things professionally and doing things to the best of your ability will put you in the top one percent of indie authors automatically. Because a lot of people haven’t got a clue, and you see books, you know you go in and you see books with spelling mistakes. You even see books with mistakes in the blurb that they put up on the sales page. And people are going to read that and they just going to immediately turn off. So I think, even though it is a very big pond, it’s only the people that who are swimming in the top meniscus of the water that will be successful and you don’t need to worry about the fact that there might be millions and billions of books you’re in competition with. Debbie: You have to disregard everybody else and just keep doing your, you’re producing the best books you that you possibly can and the rest are irrelevant really. There are also a lot of the people, an awful lot of people out there still who assume that going into self-publishing will make them a quick buck, will make them millionaires overnight, this sort of thing. We all know that it’s a marathon, and not a sprint, and you have to have staying power. You have to produce more then one book, ideally a series. Or more then one series. Lots and lots of high- quality books and you will rise to the surface. There are an awful lot people who dip their toe in the water, produce one or two books very badly and then get stroppy because they’re not selling any, or because they get bad reviews because their books are badly written, badly presented and full of errors. And then they give up and go away. Now an interesting thing with Amazon, although there are zillions and zillions of books on there, the whole self-publishing scenario is quite different to the traditional publishing scenario because with trade publishing, if a book isn’t working, if it’s not selling and paying its way, within six months or a year, then it goes out of print. They de-list it, they make space for the other books that are up and coming in their catalogue and they’re looking for the next best thing all the time, and so they discontinue a book. But, with self-published books, unless you consciously unpublish it, which most people will never do because they always hope that they’ll leave the book up there… In the same way that there are lots of abandoned websites, you know, that nobody ever does anything with, and they’re the ones that drift to the bottom of the search engines, and so get to the bottom. The same happens with books. So, although there are lots of books out there, that there is also a huge number that are not being actively marketed, that are just going to sink without a trace. So, there’s not really quite as much competition as you think. There’s still a lot of competition but not quite as much competition as perhaps some people fear. David: Yeah, I think so, and as I said, if you know what you’re doing, and you act in a professional manner, that’s really what you need to do, and it’s a learning curve. And I’ve been writing since 2012 and it’s only really in the last eighteen months that my sales have started to increase. Debbie: And that’s happened because you’ve put effort and focus and you’ve kept at it, you’ve had staying power. So, you’re now writing number four in your series [five], five! Five, yes of course, you’re on number five. And since I first met you three or four years ago, when you just got one book out, you had a plan. You knew you were going to have your ten books in your series and you’re on target, you are promoting them really well and doing everything consistently and to a high quality. And that’s why you are being successful. It’s not just that you’re lucky, you know, it’s not a lucky David Penny, it’s a hard-working, focused David Penny. David: Yeah. It’s quite funny, when, oh probably two and a half years ago, I went to a seminar of Joanna Penn’s and one of the things she does, which is great and it’s a real business trick, she gives you a piece of paper and an envelope and she says write down five things that you’re going to be doing a year from now. So I wrote down I’ll be earning X thousand pounds a year and so on and so on and so on. And then you seal the envelope and give it to her and she sends it back to you six months later. To remind you, you know, are you actually achieving this? And I took great pleasure, I met her at something not so long ago and I said Jo, I had this thing and I remember what I wrote to you and I said, I’m now earning that much per month and I said I wanted to be earning that per year, and that was two years ago. So, I was really pleased with that. Debbie: I bet she was very pleased as well, yeah. David: She was very pleased indeed, yeah. Because this isn’t a competitive profession. It’s not like, people will buy your book and my book if they like reading books. They won’t buy yours or mine, they will buy both of them if that’s what they want, yeah. Ok. I’m going to bring a question up and ask you to cover it Debbie, because the last one we have is a huge one, which we’ll probably have to come back to, because we’re never going to have time to finish tonight. 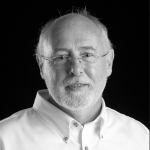 But, it is, is it imperative to have your own ISBN, should you own your own ISBN? This question is as I currently use the free ones provided by the retailers. Debbie: Right, ok. This is one of the questions that divides indie authors in that there are some people who will say no, never, why should when I can get them free from the distribution platforms? And you can. But, over the years, fewer and fewer people are saying that, because they realize the value of having your own ISBN. Let’s just take a little step back and explain what an ISBN is for people who don’t know. Because I must admit, until I came into the world of indie publishing, I didn’t really know what it was apart from being a little string of numbers on the back of a book. It’s a unique international number, so, a product identifier that applies only to your book. It specifies a particular product. So, you have a different ISBN, an e-book will have one ISBN, a paperback of the same book will have a different ISBN and an audio book will have a different ISBN because they are there to help make sure that people who are ordering them get the product that they want. Now, if you use an ISBN provided by CreateSpace for example, which is Amazon’s paperback publishing service, then the publisher of record of that ISBN will be CreateSpace. Now, some people might say that’s fine, I don’t mind about that, I’m not that precious, you know? But, there are certain setbacks, both for you and for the wider world of the indie author, if you have only CreateSpace ISBN for your paperback, when a bookseller in a bookstore looks it up, if somebody comes in and says will you order this, I’ve heard about this book, it’s wonderful, it’s not on your shelves, can you order it for me, here’s the ISBN? And the bookseller looks up and sees that ISBN is allocated to CreateSpace, the bookseller, many booksellers will say no, can’t do it, it’s from Amazon, they’re closing down bookshops, a kind of dubious argument, but they won’t have anything to do with you. 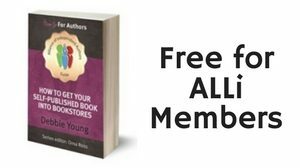 They will also perceive you to be something of an amateur because you’re not published by an imprint or not published by an identifiable entity, whether it’s you yourself or, I could set up my ISBNs to say that they were published by Debbie Young. David: And I use Rivertree Print. Debbie: Yeah, yeah. And it looks a little bit more professional and it just shows the bookseller and other readers as well, that you know how the book trade works, that you are going about it in a professional manner. Now, to the average punter, the average reader, they don’t give a damn who the book is published by. I wouldn’t know who my favorite authors are published by and I don’t really care about who they’re published by. And, so, it doesn’t matter from the reader’s point of view but it matters to the people who are your middle men between you and the reader. Also, if you don’t have your own ISBN, then your book won’t be counted in the figures amassed by the publishing industry to show the number of books being published and the number of book sales, the number of ebook sales, the number of paperback sales and so forth. For some reason, they exclude figures for CreateSpace, for any ISBNs that are owned by CreateSpace or any other distribution platforms. So, there are two reasons, a selfish one and a selfless one to go with using your own ISBN. And it is not hard to buy a ISBN and it’s actually quite nice to have your own. I think it makes you feel like you’re a proper publisher as well, a proper publisher, a terrible thing to say but you know what I mean, yeah. David: I must admit, I used to be very much of the opinion that, I always had an ISBN for printables but I never used them for ebooks and I’ve changed my mind now and I use my own ISBN for both. One of the things I was going to mention is the cost of them. I can’t remember, I think they’ve just gone up in this country, they might be £300 for ten, if you buy a block of ten. But I think if you buy a block of a hundred it comes down significantly. I think it’s about £32, £28/£32 per ISBN if you buy ten, but it’s only, it comes down to about £8 if you by a hundred, so, it depends on how many books you intend to publish, it’s worth buying a hundred at the outset if you think you’re in it for the long haul. I’ve only got ten at the moment but I’m getting close to, once I get the fifth book out, I’ll have used almost ten up. So, I’m going to buy a hundred the next time. Debbie: I think the first time I bought ten and then the next time I bought a hundred. Because I got through the ten quite quickly because I used them for e-book and paperback of about five books I think, so that used those up. And then I thought I’ll invest in a hundred, it’s kind of an investment in your future. And also, it means you don’t have to worry so much if you mess one up when you’re setting a book up, which happens to us all, because you don’t think, oh my god, that cost me £30 or whatever, you know you’ve got some spares. What we should say there though, is that we’re just talking about the cost in the UK. David: Yeah, the US is similar, if you live in Canada or France or other countries, they give them to you for free. Debbie: I think they’re subsidized by the government as a kind of cultural investment which is wonderful but unfortunately you can’t pick and choose, it’s a conscious monopoly, you can’t pick and choose where you buy your ISBN’s from, you can only buy them where you’re living. David: However, I have a house in Spain, I must check whether I can buy Spanish ISBN’s or whether I can get ISBNs for free, I’ll have to look into that. I can vote in Spain but can I get my ISBNs there [laugh]? This is going to be the last question. We’re not going to outstay our welcome tonight. 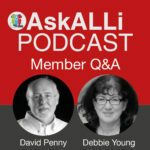 If you have lots and lots of questions for next month, then there’s a forum on the ALLi webpage I believe, Debbie, where you can submit your questions [yes]? I think we would recommend that you do though, it would be nice to have a million questions, even if we can only answer ten a night. But had a convoluted question, it was a long question, basically it comes down to, how do I publish without paying royalties or paying for services and do I need print on demand, or POD, or other print services? This is basically a set of questions every single prospective indie author is going to have to ask themselves. So, we’ll try to cover here, exactly what you need to do in order to, let’s assume you’re a first-time indie author and you’re getting close to finishing your 400,00 word magnum opus, but hopefully it’s a quarter of that size and you want to bring it out. First thing I have to state is that be very, very careful. I’m learning Spanish at the moment and the free program is funded by adverts and one came up this afternoon from Author House. Because it knows that I’m an indie author and it says would you like to see your book in print, click here and we will tell you how simple it is. And then number of horror tales that you and I and everybody else have heard of people spending five, six, ten thousand pounds on editing, printing, cover design, formatting, publishing, all sorts of different services. Particularly on marketing services. And it’s simply not worked. Debbie: And usually to a very, very low standard as well. David: Exactly, yeah, so, you have to be careful of that. If you are an indie author and you’ve finished your first book or you’re coming up to finishing your first book, there’s only a few things you need to know. You don’t have to pay anybody royalties or money to produce it. If it’s an ebook, it’s completely free. I made the decision, when I started writing, I was going to go exclusively with Amazon so that I can get money from page reads as well. That’s a decision I made. It may or may not be the right one. I know Joanna Penn would string me up by my ankles for making that decision, but it works for me and it doesn’t work for other people. You will certainly have to sell through Amazon because they are the biggest player in town. I mentioned earlier on about the author earnings report, and if I just pull that up very briefly, it says on here somewhere, where’s the figure, it’s a pie chart, 99% of ebooks sales are through Amazon, 6% through Apple, 1% Kobo, 3% through Nook. So, if you are going to sell ebooks then you’d be a total idiot not to put them up on Amazon. So, you need to do that. And If you want them to be exclusive to Amazon KDP, it means you can’t sell them outside of the Amazon infrastructure. The other term is to go wide which means you could sell them on Apple and Kobo and everywhere else. You can do that individually but if you are a newbie indie author, my recommendation is to go with a distributor such as Draft2Digital or Smashwords or one of the others. Debbie: Draft2Digital is really easy to use. David: It is, and they’re really good people. They’re great guys. Smashwords, I must admit, I used Smashwords when it first started because Draft2Digital didn’t exist, but much as I like Mark, the CEO of Smashwords, the website and the process, I don’t think has changed hardly at all from five or six years ago until now. Debbie: That’s interesting, isn’t it, because so much else changes all the time? David: And I’m sure that Mark would argue that they got it right at the outset so they don’t need to change. So, if you’re going to do ebooks I would recommend you go to, well, let’s assume you want to go wide, go to Draft2Digital, it doesn’t cost you anything. They will upload it to all of the major platforms and a lot of minor platforms and library services and so on and so forth. And they will pay you your royalties think 90 days in arrears, which is exactly what Amazon pays you. Debbie: Again, they take their cut for promoting them for you, but that’s fair enough, you can’t argue with that. David: It is, yeah. You will have to pay, you will never get 100% of the royalty unless you sell it yourself, but occasionally I come across people who say how do I sell my ebooks or my print books through my own website? You can do it but then you’re responsible for the VAT and selling in different countries and the shipping and everything else. And apart from which, if Amazon is the biggest bookstore in the world, why would you set yourself up in competition to the biggest? You know, people aren’t going to come to your website. If you want to buy a book, you just type amazon.co.uk or amazon.com or wherever you happen to be. Debbie: I think it’s great to have a few copies that you can hand sell when you’re at events and things or just, you know, keeping a few in your car, or your handbag, your briefcase or whatever, but trying to sell them through your own website, you’re setting yourself up, because people expect to have really quick service, they expect 24/7 availability, they expect next-day delivery, free delivery if they’re with Amazon Prime. You just can’t compete with that, you’re just making a rod for your back. You could spend the time that you spend fulfilling your own orders doing something much more useful towards your progress as an indie author. David: It’s a 24-hour world, it’s amazing, I could be sitting here this time of night and I could think oh, I quite fancy that book by Debbie Young, what was it called, the Sophie Sayers Mysteries, and you log on and you click on buy and then within about ten minutes you quite often, this time of the night, you will get an email saying your book has been shipped, it will be delivered tomorrow, you know, and you think oh, wow, that’s great, yeah. Debbie: And people are just so used to that now, you know? If I was receiving an order at home, tonight, even though we’ve got a little post office in the village where I can walk around the corner, in the morning, I couldn’t compete with Amazon’s delivery times. Or with the economy of the delivery because I couldn’t offer an Amazon Prime service, and I’m on Amazon Prime and I get loads of books without any postage. Now, an author isn’t going to offer free postage because postage is a really significant cost. David: Yeah, it is. And I’ve started downloading some of their free books, you get once a month. They send you an email, you must get one, Debbie, if you’re in Prime, where they give you a list of I think half a dozen books, and you can get them. And they’re pre-published and they’re pre-print so they’re about four to six weeks before the publication date. And they’re sent out as like RX, so you can do some reviews. So, yeah, those are quite good as well. Debbie: To be honest, I’ve never actually seen any there that I’ve actually wanted to read because I’ve always got an enormous reading list of books I’ve bought [laugh] or been given. David: I’ve downloaded a couple and one I read half way through and threw away and the other one I think I’ve gone half way. The other thing we need to mention about this question, however, is, we’ve talked about ebooks but a lot of people would like to see a print book. They like to have one in their hands, they like to open it. Debbie: It’s only within the first few months I think? David: Yeah, they will wave the setup costs. And if you are a member of the Alliance of Independent Authors or if you follow the Indie Author Fringe, because IngramSpark are a sponsor of that event, very often you will get a free set-up code that will run for a limited period of time. Debbie: And also, as a member of ALLi, if you decide you need to upload an amended file, so, you discover you’ve got a typo, or you just want to update the back-matter in your book, you know, if you’ve published another book and you want to advertise that in the back of your previous books, then, as a member of ALLi, you get to upload that for free rather than having to pay any upload fee. And loads of ALLi members, I mean there’s a very affordable fee to join ALLi, I think it’s £75, $99 I think, at the moment. A lot of authors, even if you’re only publishing one book a year, will recoup their membership costs just on the costs that they saved using IngramSpark. Which is fantastic. David: Yeah, I get about three times my subscription back. I’ve been given discounts for editing and formatting and cover design etc etc. So, you know, it works really well for me. Debbie: Yes, I mean the other day I had two invoices come in at once. One is from my cover designer, and the other from my editor, this is for the second book, Trick or Murder, in the Sophie Sayers series, and I worked out, the savings that I made with those two invoices, just in one day, was double the cost of an annual fee. David: It’s well worth doing, it’s well worth doing. Debbie: And I’m going to be doing three books a year in this series, you know, so it’s a no-brainer to pay the fee and get the benefits. And lots of other benefits too. David: I know, I know. I’m aware that we’ve gone through that final question in super-fast time. There’s an awful lot of information in there and I think maybe next month we might come back to some of those topics because what we’ve done is give a really, really brief overview of what you can and can’t do but there’s a lot of digging down you need to do to find out some of the stuff behind all of it. Debbie: Apart from our guidebooks, which there’s also a very useful set of, there are lots and lots of useful blog posts, we’ve got over 1500 blog posts I think we’ve got now. And there’s some particular good ones on ISBNs. So, if you go to the selfpublishingadvice.org blog, the search box, top right, if you put in whatever the key word is for what you’re looking for, ISBN for example, CreateSpace, IngramSpark, or whatever, put in the search term there and you will get all of the blog posts that relate to that. One particular useful one is if you put in CreateSpace and IngramSpark, then you’ll get lots of things about using both of those services for your print-on-demand. So, it’s good first source of reference for any self-publishing question really. Debbie: Because all the Americans will be out celebrating Independence Day, won’t they? David: They will be, yes. So, thank you all for watching and we will be back here on the first Tuesday of August, if you’re back from holiday then? Debbie: That’s the day before I go on holiday. So, I shall be demob more happy, I’ll be packed and cheerful and ready to flee to the Highlands. David: And I’m here, I’ll have been to the Harrogate Crime Festival, which is one of the highlights of my year, so, look forward to next month and getting some more questions. So, any questions anybody has, please just send them through to us and we will add them to the list and we will try to answer them to the best of our abilities. And we have great abilities. We’re like Donald Trump, we are great, muchly big abilities [laugh]. Debbie: Lovely, ok, it’s been a pleasure to be here, thank you for listening and we will see you on the 1st of August or thereafter.